Are You Betting On Banking A Big Pay Out When You’re Ready To Sell Your Business? If you own a business today, how do you want to get a return on your investment? a) Invest your salary and dividends each year. Then close the company when you’ve had enough, the economy makes it too hard to run, a key employee leaves, you can’t work, or any other issues that creep into life making continuing difficult? b) Enjoy your lifestyle income and save some of it. Then wait to see if someone expresses and interest in buying the company and then offers a dollar value that you both agree on? c) Actively pursue ensuring your business will attract a buyer so you can sell your business at a mutually rewarding time for both buyer and seller and receive and offer close to the value you want. Then invest the proceeds? Each of these options requires some forethought. I don’t want to dissuade you in any way for dreaming big – for pursuing the sale of your company. On the contrary, we are behind you 100%! In our business, our mission is to crack open the black box about what it takes to attract the premium buyer… and to peel back the curtain on the process so business owners don’t fail before the finish line. So let’s put the truth on the table. Then you can evaluate these options with the insight to correctly weigh what works for you and what doesn’t. Oh, by the way, our unique research shows that business owners plan for option b) and end up with option a). Most buyers only want to acquire companies who planned for option c). 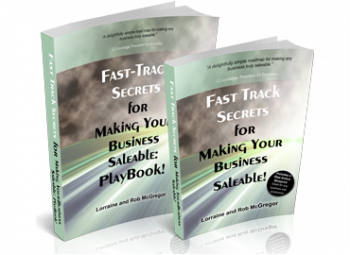 Once you fully understand the impact of each option, you can go into this next stage of your business life primed to know how to get into that winner’s circle (the option that makes sense for you, that you choose and prepare for), with your eyes wide open, prepared to steer through treacherous unknown territory on the way there. Thinking about selling one day so you can reap a return on your investment? The business owners that choose option c turn into overnight millionaires. The way they prepared the company so it is Saleable gave them a winning lottery ticket. If option c is of interest you might want to learn what it takes to get that winning lottery ticket. You may need to leave behind belief systems or mindsets that would get in the way of choosing option c.
Oh yes, one more thing. Check your cynicism at the door and all that you’ve learned about what it takes sell a business and see whether you and your business has what it takes to get to the finish line. You can’t sell your company in the year that you decide you want to sell it. FACT: It takes 2-4 years to make it transferrable or saleable. The number you think your company is worth is not the number that a buyer would be willing to pay for it. FACT: What you value and what the buyer values are different. The buyer’s number wins, or you lose. Since the economy tanked, there are a lot of buyers sitting on the sidelines with money to burn. Pent up demand will be your salvation. FACT: There is $10 Trillion in wealth searching for Saleable companies. 90% of businesses are in the Un-Saleable category which is why they can’t be sold in the year the owner decides selling is their next step. 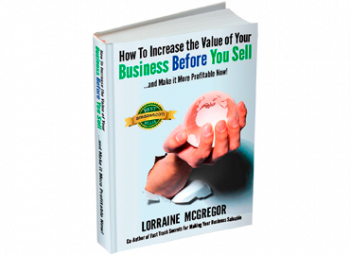 Learn what it means to become Saleable. The demand for Saleable companies is through the roof. There is no demand and a huge supply of Un-Saleable companies. The right Business Broker or Mergers and Acquisitions specialist can find you a buyer. FACT: The average buyer (whether it’s another company or financial buyer) will look at hundreds of companies and buy 1 or 2. Yours has to be what they are looking for. Your ideal buyer should know about your company long before you’re ready to call a business broker. In fact, they already do know about your business whether you think they do or not. Your company is successful so it’s Saleable now. FACT: Successful for you does not mean the next owner will achieve the same success you have. Can your company run without you, your knowledge and relationships today? 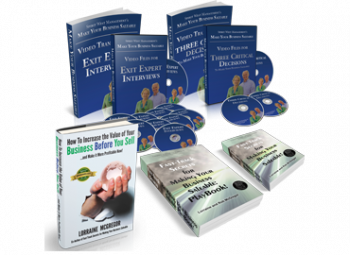 Do you know how the business makes and loses money so you can grow it without bleeding the credit line dry? And, can you say the same about your managers? You’re a good negotiator and smart business person so you should be able to sell your company when you’re ready. FACT: Negotiation skills are at the bottom of your ‘what I need to have to sell my business list’. At the top of the list is ‘Learn to play the game first’ before attempting to sell your business. This is a different game in a different league. You wouldn’t go play at the championship level of a sport if you were only a weekend warrior. The rules are set. You don’t get to change them. You don’t need to make the company saleable if you’re going to sell to insiders. FACT: If you want to sell it to employees, another entrepreneur or a family member, all of them, unless they are independently wealth already, needs financing to buy you out. Your business is the catalyst that will allow for your buyers to get their loans. Lenders need to see a Saleable company too, before they proceed with a loan. It’s your company’s future cash flow (after you’ve exited) that will pay you out… over several years. If the company is being gifted to your family there is no need to make it Saleable. FACT: Do not gift your company. Sell it to the motivated relative ready to put skin in the game. Then let your wealth (earned by selling the company in an arm’s length transaction) transfer through your estate. Unless you want to watch your family wealth wither. You can work on making your business saleable in your spare time the year you feel like selling. FACT: Making a business Saleable means leading a massive change project over several years. If you are not good at leading, dealing with change, or managing projects, you will need help. It’s almost a full time job. You can bring in advisors when you’re ready to sell and skip the costs of hiring that advice now. FACT: There are landmines lurking in your business agreements, accounting systems, financial statements and filing cabinets. Start mobilizing to deactivate them now. Don’t start with a valuation, calling a business broker or asking your son, daughter, cousin, neighbor or star employee to buy you out. There is no getting around this first step… you are a beginner at this work. Explore what you don’t know that you don’t know. Your future depends on it. If you’re ready to learn, we’re ready to help. These companion books outline in detail the steps that will help you transform your company from successful for you to Saleable and attractive to the next owner. What have we missed? What myths and facts do we need to add for the greater good of all? Leave your hard won experience in the comments section.